Welcome to The Green Lantern Corps. Thousands of intergalactic police officers dedicated to protecting the innocent. After last month’s adventure Hal Jordan has a criminal in custody and mow it’s time for a classic interrogation – with a little bit of classic Grant Morrison weirdness, of course. 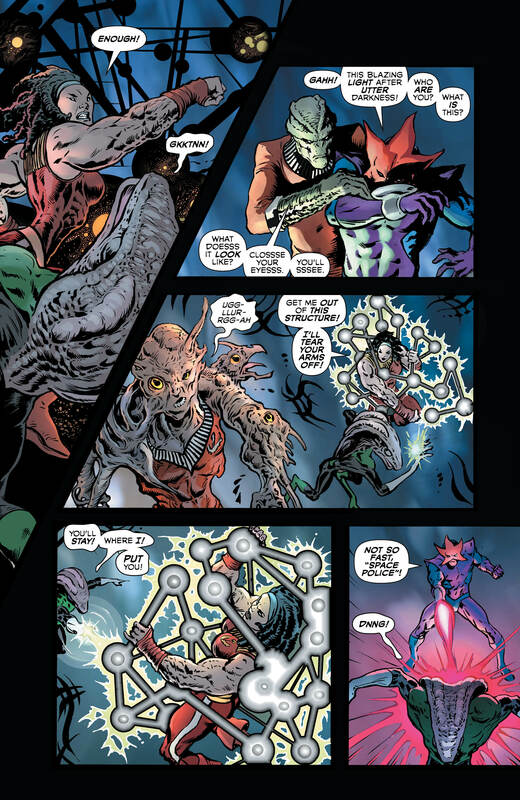 However, as the interrogation goes on, in a dark corner of space a classic Green Lantern villain causes a breakout and that certainly can’t be good. It seems that Hal’s 9 to 5 is about to get a whole lot longer. Well, here it is. With the introductory issue out of the way, it’s time to see what the meat of this series actually is (spoiler: it’s amazing). As I said in my review of issue one, this is Grant Morrison’s take on a police procedural with all the classic tropes and clichés of the genre. In the hands of a lesser writer it could potentially end up as a fairly dull premise for a book, but Morrison brings his knowledge of the DC Universe and his simply bizarre ideas to make this book a truly wonderful and entertaining read from start to finish. Morrison does what he does better than anyone here. He takes classic characters (in this case the return of Evil Star, first introduced in 1965) and inserts them into the series as new antagonists in a way that is both hilarious (making fun of Evil Star’s campy name) and darkly disturbing. 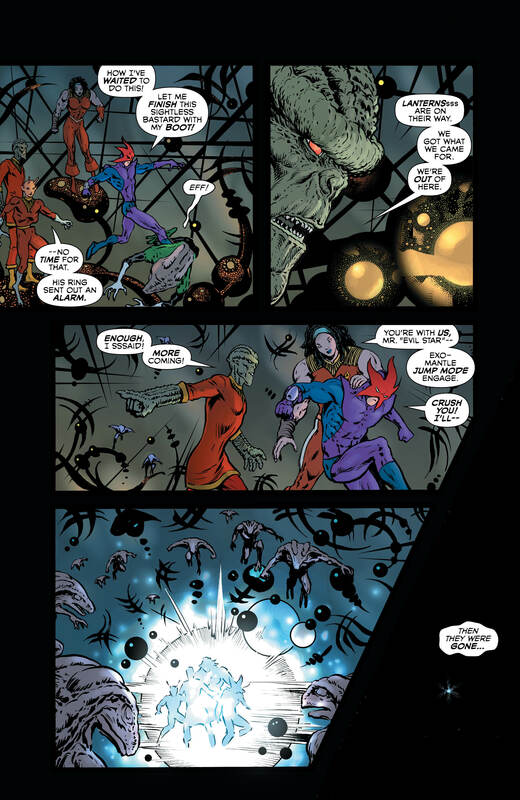 All while giving us a truly insane interrogation where Hal Jordan intimidates a giant spider. 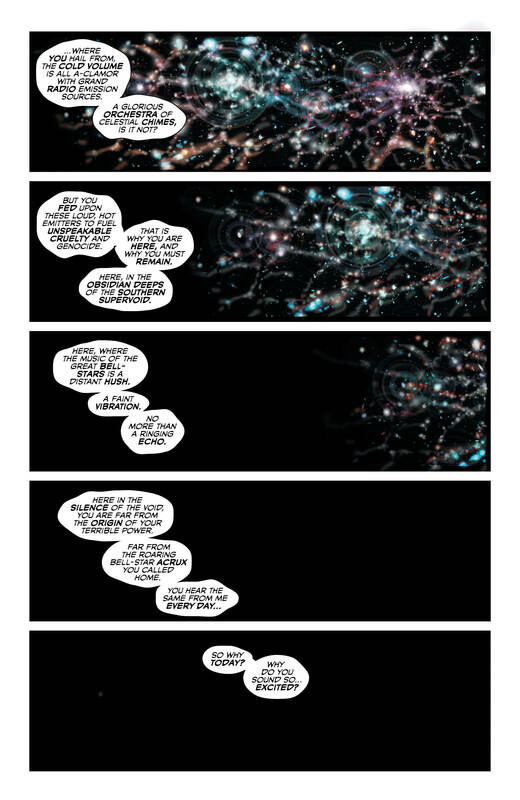 It’s delightfully bizarre in a way that only Grant Morrison can be. 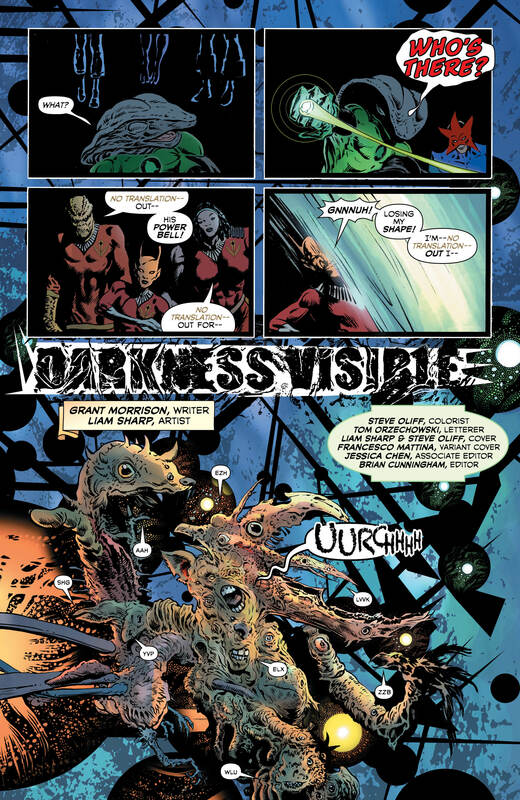 However, as much as Morrison is clearly firing on all cylinders here, Liam Sharp’s art make this book what it is. Oa has never looked better and the worlds here feel truly alien with citadels that pierce the stars and truly insane alien designs. It’s a feast for the eyes that feels straight out of the 1980s in the best possible way. Sharp also makes Hal look great. He looks truly heroic and powerful in all his scenes, and Sharp’s work is beautifully complimented by Steve Oliff on colour duties. Every panel bursts with colour as the green light shines bright. 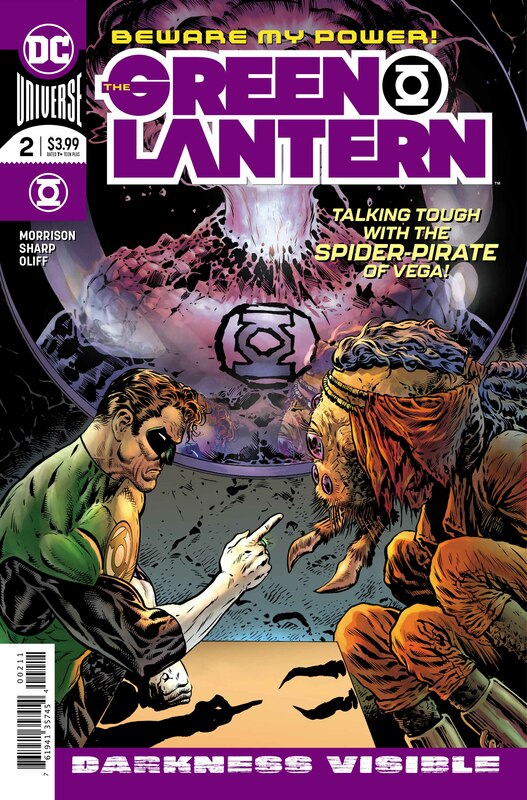 Colour in general is used extremely well here to convey the tension and tone, showing the darker, more serious moments in the interrogation where Hal is meant to look imposing, as well as the bright and alien light which, when combined with Liam Sharp’s pencils and inks make this a universe feel brighter and more spectacular than ever before. 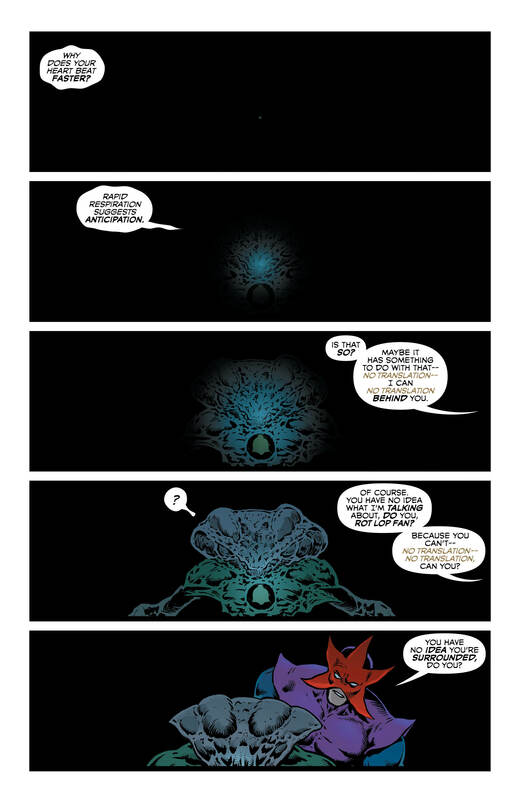 Bottom line, if you’re a Green Lantern fan then you need to read this. If you’re a fan of ‘80s sci-fi madness filtered through the best of 200AD then you need to read this. One of the best writers in the industry has teamed up with two of the best rising stars in the world of art and colours to bring you something that is definitely worth your time.